- The collection of hues is ideal for shading, highlighting, and defining the eyes. - Come with a elegant eye shadow brush, perfect for both professional Salon or personal use! - Matte color and nourish ingredients together to care eye skin around! - Feel light and soft, easily create clear and brilliant eye makeup finish. 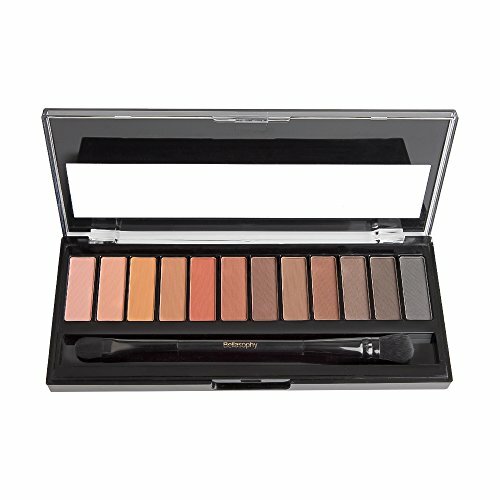 Unique Healthy plant formula, soft and silky texture, waterproof; A must-have, exquisite beauty makeup palette with all 13 bright pigment rich naked colors. Lasting a long day; serious staying power and blendability. Fine silky, thin docile; Enhance your natural features with velvety-smooth, ultra-pigmented powdered shadows. Bright colors, easy coloring, matte color; Easy to create elegant charming eyes. DIY - shade, shadow, line, contour and define your eyes and faced, just like an artist. Set and apply your favorite multicolor eye shadow with an eye blending brush and blend softly for a flawless finish. If you have any questions about this product by Bellasophy, contact us by completing and submitting the form below. If you are looking for a specif part number, please include it with your message.